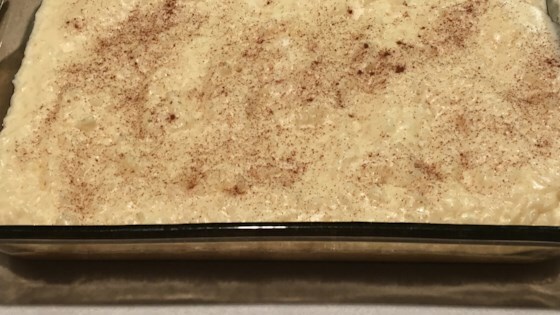 "Super easy rice pudding made in a Crock Pot®. Yummo!" Stir 4 cups milk, white sugar, and rice together in a slow cooker until the sugar dissolves; add margarine. Beat egg, 2 tablespoons milk, vanilla extract, almond extract, and salt together in a bowl. Temper the egg by stirring a small amount of the hot rice mixture into the egg mixture to gently warm the egg without cooking it; stir the egg mixture into the rice in the slow cooker. Continue cooking on High until creamy, about 15 minute more. Transfer pudding to a glass baking dish, cover with plastic wrap leaving two corners uncovered to vent, and refrigerate until chilled completely, at least 1 hour. This as an excellent recipe. I have never made it this way. I usually so it on the stove for hours. This came out perfect.